Carlos Ramirez has always prided himself on two things: being damn good at his job on the Houston police force and being able to land any woman he wants. When a devastating car accident leaves him crippled and in excruciating pain, he begins to rely too heavily on his prescription painkillers. The only person who can help him heal is the only woman who has ever rejected him—and on more than one occasion. Living with Kelsey while he works through physical therapy wasn’t anything he ever expected to happen, but it might just be what he needs. After a divorce that left her doubting her ability to love, Kelsey Byrne wants nothing to do with relationships. Unfortunately for her, the only man she could see herself loving needs a place to live and help while he recovers. She had a hard time pushing him away after a one-night stand, so how can she possibly keep him at arm’s length when he’s in her house every day, playing with her son, cooking her meals, and leaving her cute notes every morning? Carlos may be working his way into her heart one sweet gesture at a time, but can she give him everything knowing that she’s more than a little broken inside? 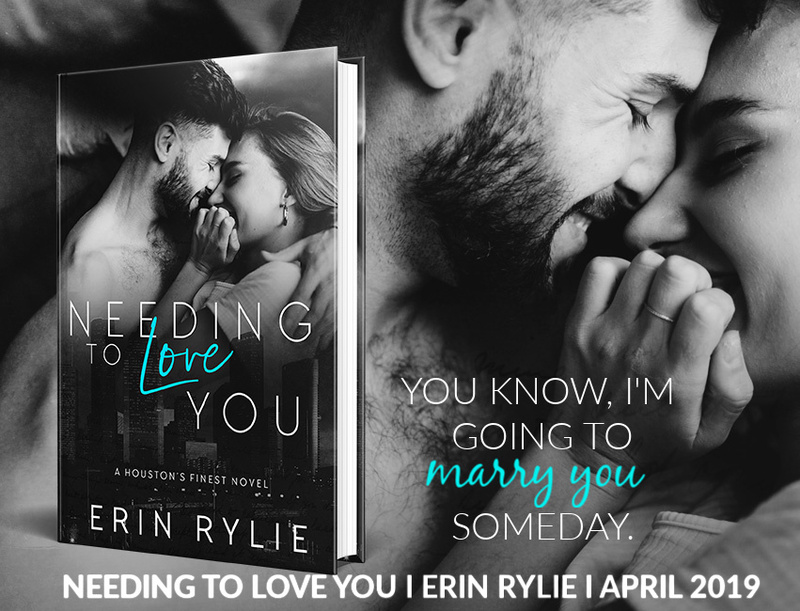 I am just so in love with Erin Rylie and the stories that she has to tell! It is amazing to me that she is a relatively new author and her stories are already so well written. We met Carlos and Kelsey in the first book, Hating to Love You, and I knew they were going to have an epic story. Kelsey is recently divorced and strongly believes that she can’t stay in love with anyone if she couldn’t even stay in love with her husband. Carlos is a recently injured police officer who never learned how to love himself and it struggling to find meaning in a world without being a police officer…even if its only temporary. Carlos and Kelsey had an explosive night one year ago, but when Carlos was ready to make it serious…Kelsey ran, thinking it was too soon. 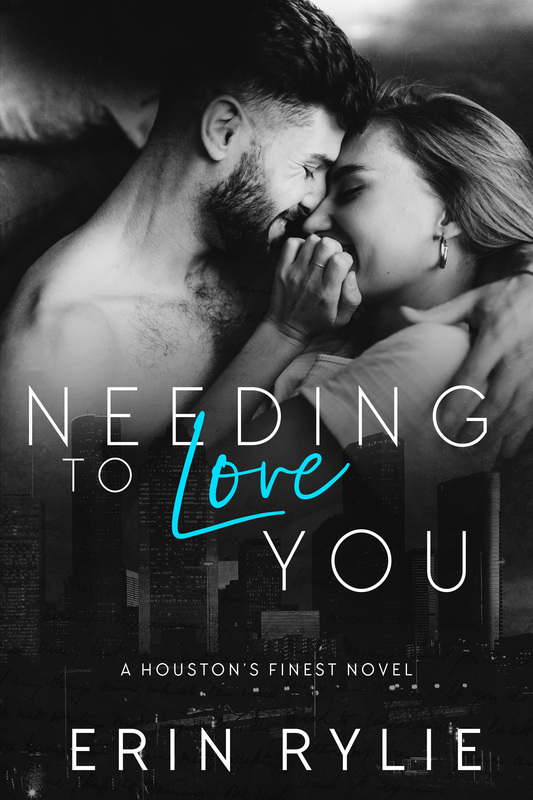 Now, Carlos is recovering in Kelsey’s house while battling demons, and Kelsey is trying to keep things strictly on the friendship level while fighting her desire for more. Kelsey is a beautiful woman who puts her son first…even at the cost of her happiness. I really liked Kelsey and related to her aversion to sharing what she was feeling. She has a protective guard up a mile high and only a special person will be able to knock it down. I think Carlos was my favorite in this book. I really loved his humor, which he wore as a mask to hide his feelings. He said the most ridiculous things, but it brought levity into a book that was dealing with potentially devastating topics. I loved Carlos’ tenacity and how he never gave up even when the cards were stacked against him. Another one of my favorite things about this book is that we got to see Race and Sophie as well as their beautiful daughter. I am salivating for Becky and Reese’s book because based on the ending of this one…book 3 is going to be even more epic than this one! I’m a Montana born, Texas raised New Jersey transplant with a degree in hospitality. At 29 years old, I decided it was finally time for me to pursue my real passion in life – writing. I’ve been writing princess stories and LOTR fan-fiction since I was in middle school, so the transition into romance has been fun! When I’m not writing, I’m reading (fantasy, sci-fi and romance are my genres) or working. I’m currently obsessed with Brooklyn Nine Nine which should tell you all you need to know about my sense of humor. Finally, I am 100% an old cat lady. My cats Socks and Kaz are little weirdos and I love them more than most people.